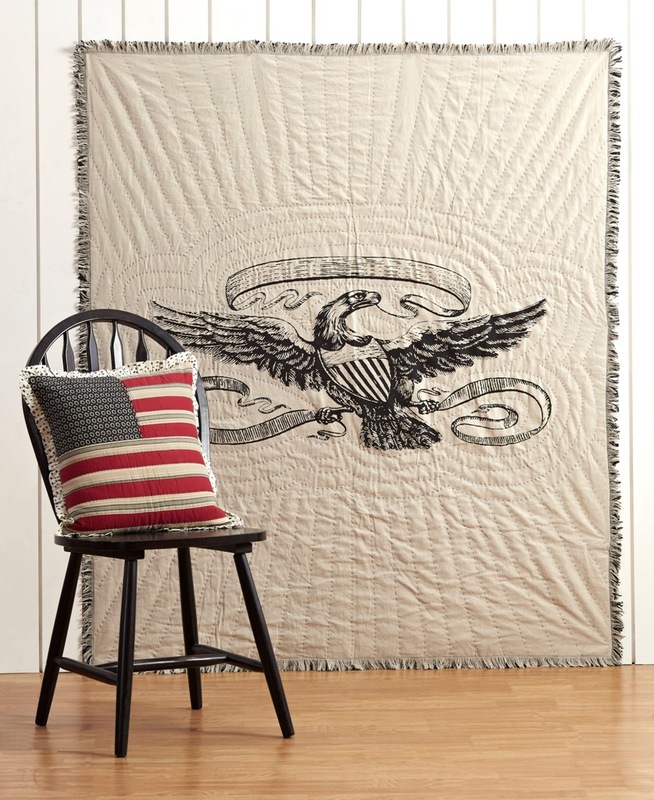 Victory Eagle Throw is canvas on the front and soft burlap on the back and is distressed to give it a vintage look and feel. 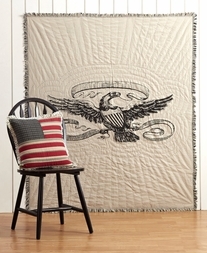 The front features an eagle that takes center stage in a stenciled theme with echo and starburst hand quilting. 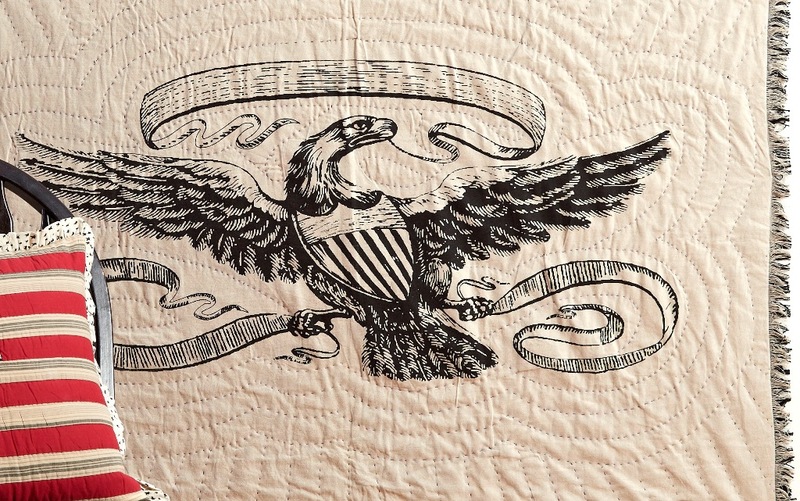 It has unfinished edges with a heavy seam to prevent fraying. Pillow shown sold separately.